I made three delicious real food appetizer recipes for our festive natural greenery holiday party, DIYs, and Paleo-friendly recipes --this is #3! It was probably the most delicious, although definitely the least photogenic. I've never made stuffed mushrooms before, but I understand now you could stuff them with absolutely anything if you can get it to hold together. This flavor combination I ended up with was amazing, although not gorgeous in the brown mushrooms, so I'll have to remember it for other dishes in the future, too! They did hold together pretty well, though, despite not having cream cheese or other cheesy or bread-ey binder in them. Read on! They went well with the dried cranberry pork meatballs (here) and prosciutto-wrapped dried figs (here)! See the whole shoot here. Makes 12 mushroom caps. Double this recipe for a large group! Chop ends of mushrooms (and use a small, sharp spoon to scoop out all of the stem base); chop stems. Cook bacon pieces in a small frying pan. In bacon fat, saute onion, pepper, mushroom stems, and salt and pepper. 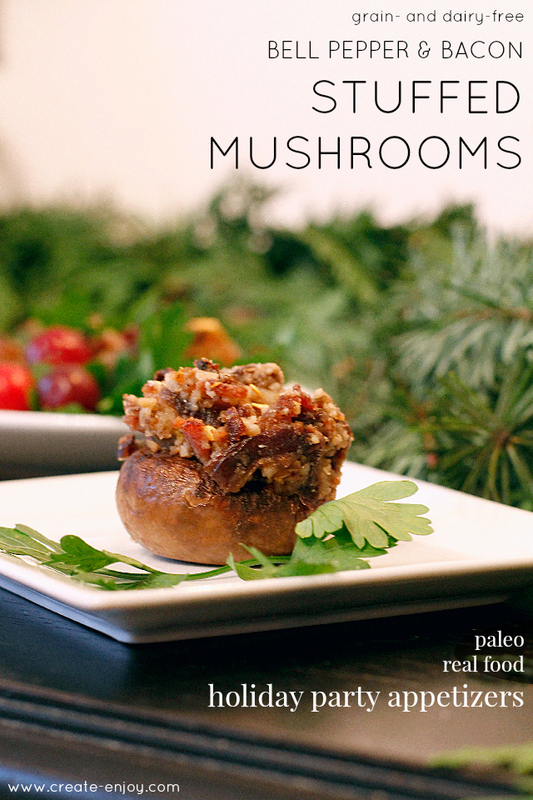 Add almond meal to veggie/bacon mixture (in pan or in a bowl) and press into mushroom cups. The bacon fat and almond meal dust help everything stick together. Bake in pan or deep cookie tray with about 1/4" of water in the bottom of the tray for 20-25 minutes. Serve hot! These are ridiculously delicious but they are even better hot! What a great idea! 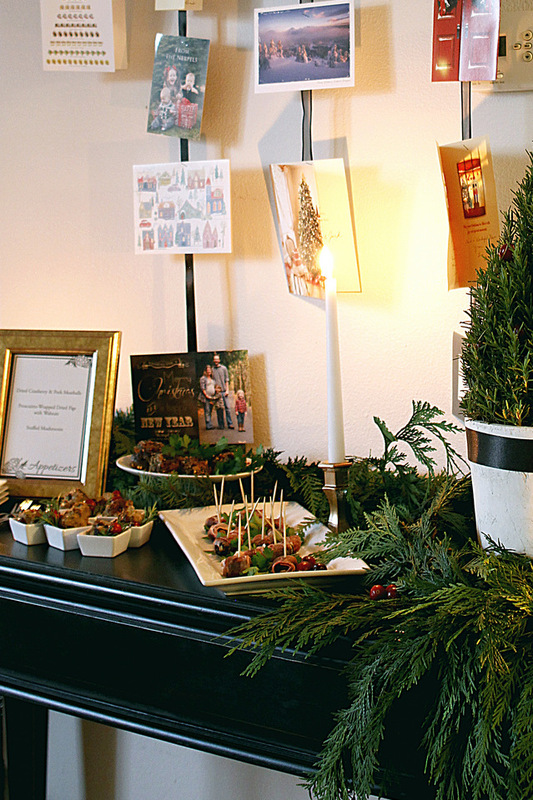 Holiday parties are so often filled with unhealthy options, this is an awesome alternative! Happy holidays, Suzannah! these look epic! :) yum! I love stuffed mushrooms! And I love your tip for using almond meal as a binder. These look delicious!